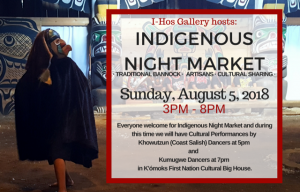 Indigenous Night Market is a night market held during BC Day Long Weekend, August 5th, 2018 from 3pm to 8pm. 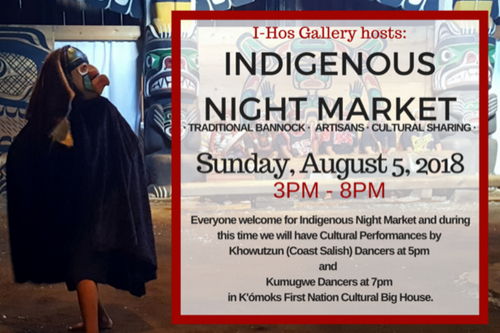 Everyone is invited to bring the whole family to the original K’omoks Village site. 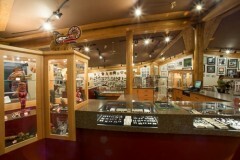 Must try Toni Frank’s tasty bannock with savoury jam, cooked fresh on site and is a must taste. This is a recipe handed down from generation to generation with a few tweaks here and there, along with bannock dogs and bannock tacos. And let’s not forget unique artisan offerings that will be available for your purchasing delight. 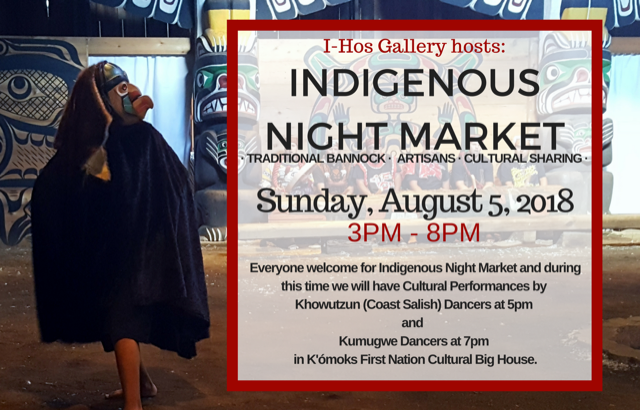 At 5pm come enjoy cultural sharing with Khowutzun Dancers and at 7pm Kumugwe Dancers in the K’ómoks First Nation Cultural Big House. 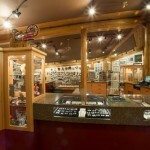 I-Hos Gallery, 3310 Comox Rd.